Getin Noble Bank, one of Poland’s largest banking institutions, and Hitachi Europe have revealed that Getin will be deploying Hitachi finger vein biometric authentication in the bank’s new Getin Up branch network. 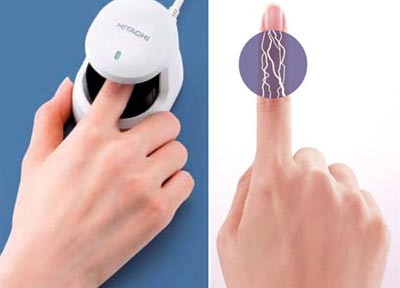 Getin Bank chose the finger vein biometric modality based on the human body’s unique structure of blood vessels inside the finger. Those close to the banking initiative feel that the finger vein solution is optimized for banking as it has already been deployed in a large number of Japanese banks. The program started in March, and the finger vein authentication system was launched at a selected group of Getin bank branches. Following enrollment into the new biometric system, customer identity verification using the finger vein method will be supported in the new Getin Up branches of the bank. The finger vein initiative will identity the bank customers and eliminate the need to show identity cards. Moreover, upon successful authentication, customers will be able to conduct declarations of will for payment orders, conclude new contracts without a handwritten signature along with a host of other operations. Getin Bank received the new finger vein system from the partnership of Hitachi Europe and Wincor Nixdorf – the Polish branch of the global ATM manufacturer and provider of IT banking and retail solutions.